The F-89 was a twin-engine, all weather fighter-interceptor designed to locate, intercept, and destroy enemy aircraft by day or night under all types of weather. The F-89 made its maiden flight on Aug 16, 1948, with the first production model delivered to the USAF in 1950. Northrop Aircraft Co. produced 1,050 F-89s for the USAF. 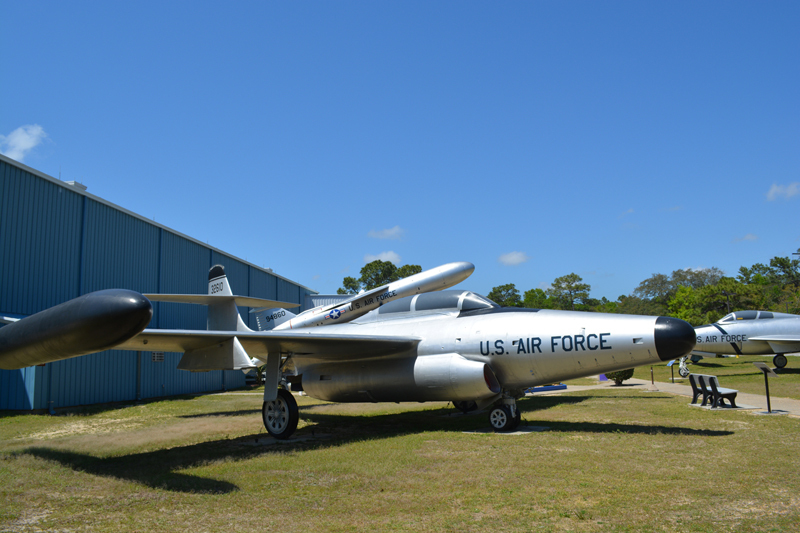 The F-89 was the first multi-seat, all weather jet interceptor. It was the first aircraft designed to carry an all-rocket armament and the first to carry the Hughes Falcon air-to-air guided missile. The major production version of the Scorpion was the F-89D model. A total of 682 F-89D were constructed; 350 of these were modified to the F-89J model. On July 19, 1957, a Genie test rocket was fired from an F-89J, the first time in history that an air-to-air rocket with a nuclear warhead was launched and detonated. The F-89Js became the Air Defense Command’s first fighter-interceptor to carry nuclear armament. This F-89D S/N 53-2610 was delivered to the 32nd Fighter-Interceptor Squadron (ADC) at Otis AFB,MA on August 1955. It was last flown by the 119th Fighter Group (ANG) at Hector Field, ND on October 1966. This aircraft has a AIR-2A Genie rocket loaded on the wing which only the F-89J Model was modified to carry.